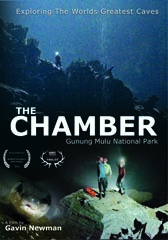 My latest documentary project cover the discovery and exploration of the worlds largest cave chamber. It is now available on DVD and HD BluRay Disc. A trailer for the film and more details can be found on my Film & DVD Sales mini site. Television work this year has included plenty of underground filming with both the BBC and Channel 5 doing ‘Underground Britain’ series. A 4K Chinese cave filming project for Passion Pictures for a future Cinema release presented an interesting challenge to film Cloud Ladder Hall, one of the worlds biggest cave chambers. A project for the Oman tourist board finally saw me face to face with my first Seahorse after 30+ years of diving and a private film project saw us in another of the worlds biggest caves, Son Doong in Vietnam. now with a new 4K camera system. An extensive science project for a EU based fisheries impact study provided the majority of its work and also saw it stranded in Tunisian customs for while! Safely back in the UK its recently been instrumental in filming a new documentary for ITV documenting what happens to a dead whale when it sinks to the seabed. Ground breaking discoveries that are due for broadcast in 2016. For more details check out the NEMO pages in the menu top right.